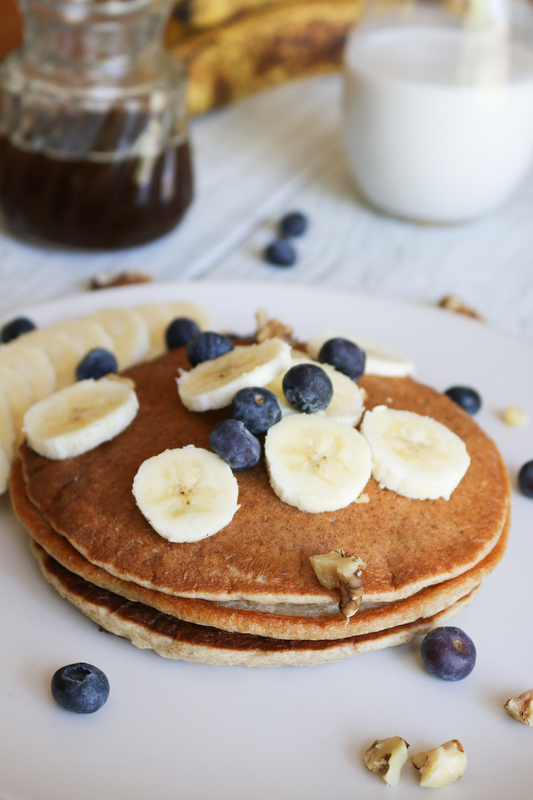 BANANA PANCAKES! 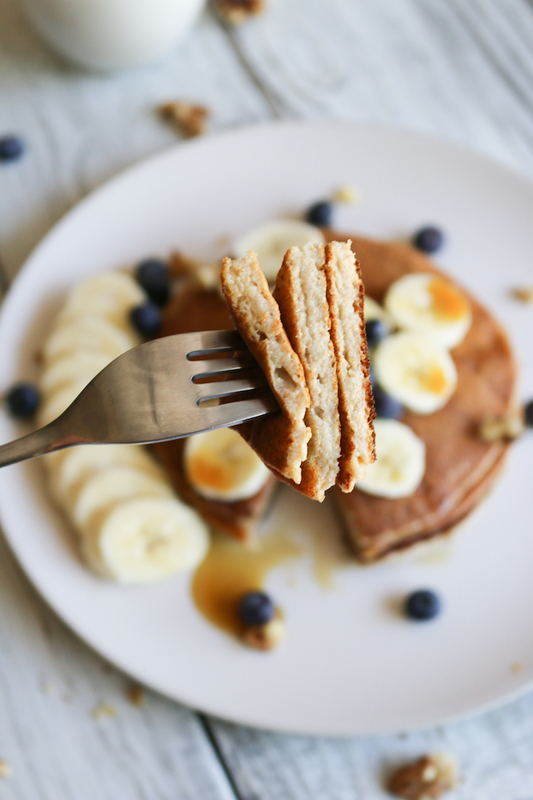 Here it is, another favorite go-to gluten free plant-based banana bread pancake recipe to make on the weekends. It’s super easy and perfect for cuddling up together for some breakfast and Netflix. But I promise you’ll enjoy them no matter when you make them, you can make a huge batch for the whole family in under 30 minutes. 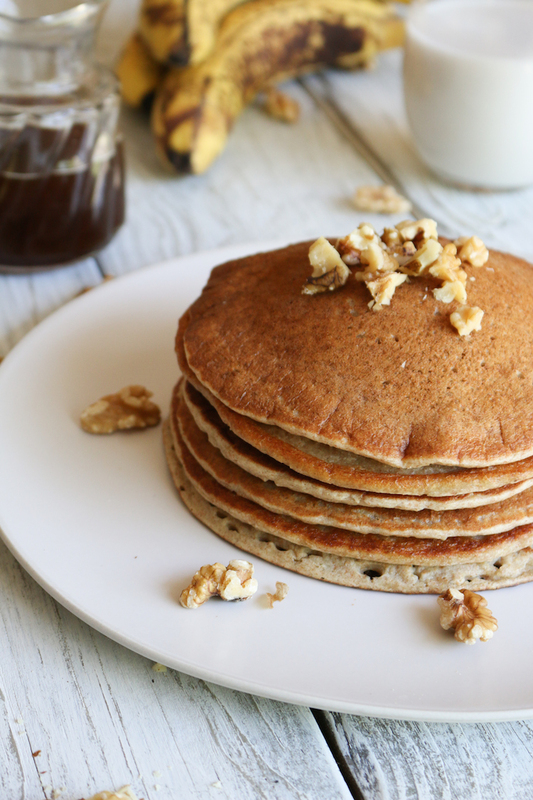 This is a simple banana bread pancake recipe to keep in your box of breakfast recipes. 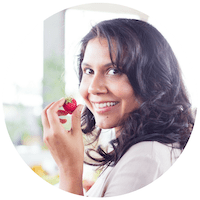 If you’re not a huge fan of banana (which is crazy) or you’re looking for more variety, you can replace the banana with any berry you like. I’ve tried them with strawberries, raspberries, blackberries and my other favorite Vegan Blueberry Oatmeal Pancakes. They are all are equally delicious. A BIG bonus to this recipe is, these babies are gluten-free, which can be a nice change from the typical, wheat-centric breakfasts we all gravitate towards, especially great if you have kids in the house and they are tired of smoothies every morning (or is that just my children?). I hope you enjoy it! 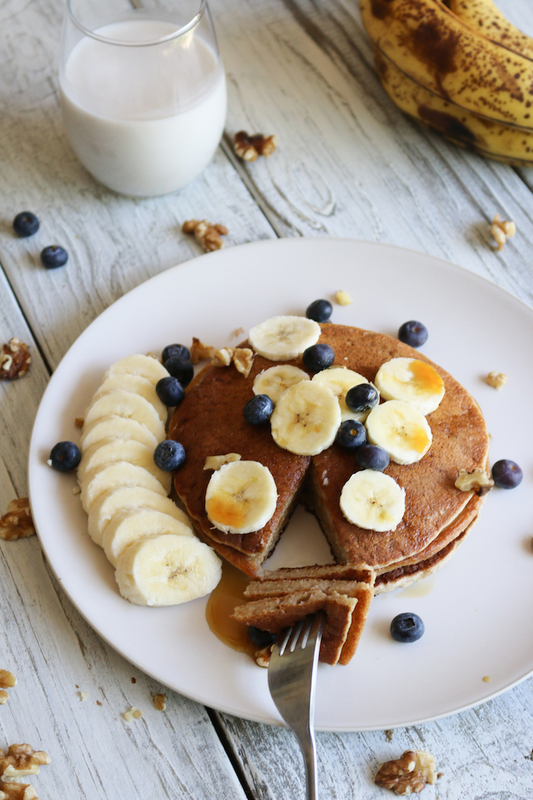 An easy, 30 minute, vegan gluten free banana bread pancake recipe. Place all your ingredients into your high speed blender (I used my BlendTec). Blend until smooth and all ingredients are combines evenly. Heat a large nonstick skillet, griddle, or cast-iron skillet over medium heat. Carefully rub skillet with coconut oil. Once hot, spoon ½ cup of the batter onto skillet. Cook until the edges appear dry (2 minutes). Carefully flip pancakes and cook until browned on the otherside (2 minutes more). Continue cooking until all batter is used up - about 10-12 pancakes. Top with peanut butter, sliced bananas, granola, flaked coconut, and maple syrup. Store cooled leftover pancakes (without toppings) in a container separated with wax or parchment paper to prevent sticking. Will keep in the refrigerator up to 5 days or in the freezer up to 1 month. Reheat in the toaster oven or oven until hot. Bananas are one of the most widely consumed fruits in the world and for good reason. Eating them could help lower blood pressure and reduce the risks of cancer and asthma. And how awesome is it that they are available all year-round. Unlike other fruits, the ripening process of bananas does not slow down after they are picked. To encourage faster ripening, place your bananas in a brown paper bag at room temperature. I like to peel and freeze my bananas and use them in smoothies or Strawberry Banana Ice Cream! I hope you give this vegan banana bread pancake recipe a try and if so share it and tag me on Instagram @LiveSimplyNatural. I’d love to hear how you eat your bananas?